Recently Cloudy is shedding (i think). Maybe just shedding his puppy hair. I really have no idea! But what I DO know, is that I need to clean my house Cloudy’s den. 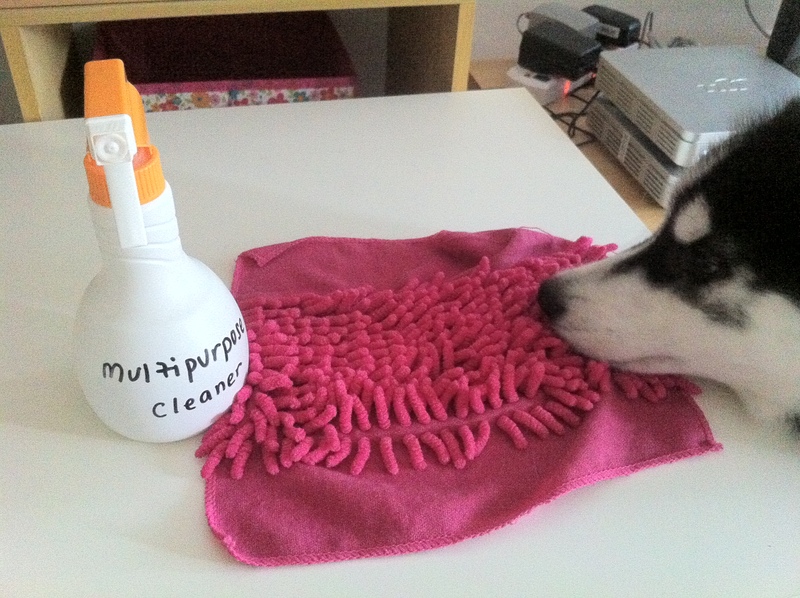 Aside from brushing him at least once a day in the morning, as a husky owner, I believed vacuum is our 2nd best friend. I’m a paranoid and a hygiene freaks. And worse still, I’m a suite in an advertising agency which I have no luxury of time. By just vacuuming is seriously not enough. So, I came up with an easy way to keep my house at least with the flooring clean. 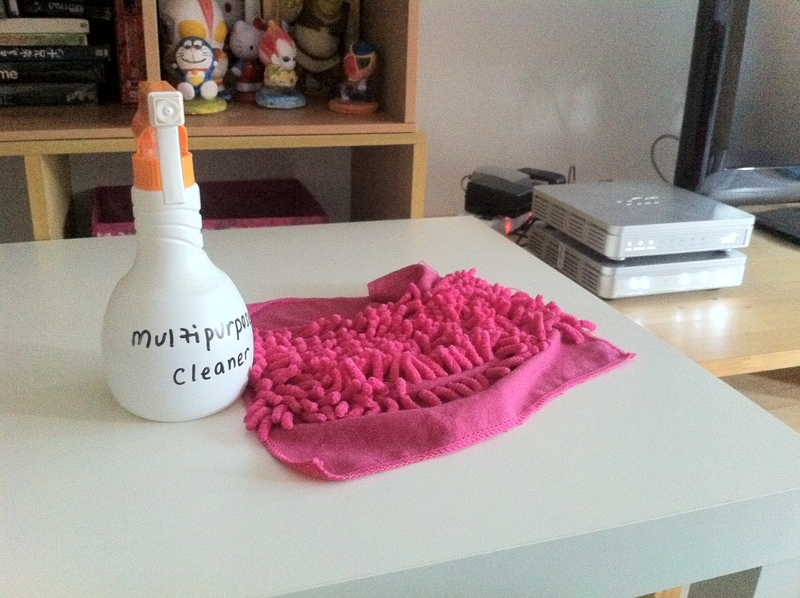 I use the finished febreeze bottle and fill it up with multipurpose cleaner mix with water. And Daiso to get the RM5 dust cleaning cloth which can easily slipped into the smart mop area. So, I’ll spray some multipurpose cleaner and then mop the floor. Do this everyday to my 850 sq.ft house. It does keep away some dust and the floor clean (instead of the sticky feeling) and the wonderful thing is that it’s fairly easy and save time on your busy work schedule. Cloudy doesn’t seem to be complaining.